At this creepy cemetery near Nazca in Peru, you can still see the bodies of people buried here… 2000 years ago!! Millions and millions of people died over the centuries because of an aggressive colonisation. Should we view this today as mass murder? This incredible transport network stretched out over a huge part of South America. But you won’t believe how the Incans used to get messages along it! Built with a fortune and sustained for centuries by rich European families, this Peruvian monastery was far from the ideals of what it was supposed to represent. 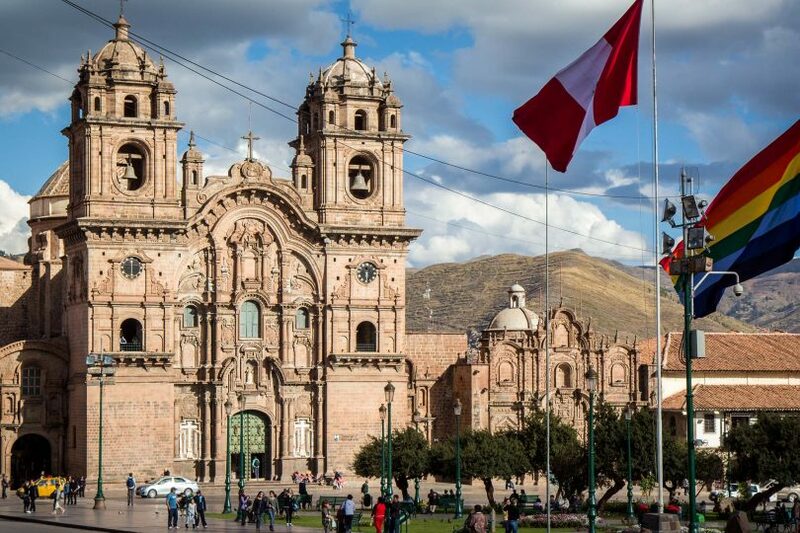 Peru’s second largest city is a hub of heritage – but not of Incan or ancient civilisations. This is a city of colonisers set in a challenging environment. In the south of Peru, near the city of Arequipa, I discover a national reserve with a labyrinth of rocks created by the wind over millennia. I don’t think this is going to be the most pleasant experience, as I watch the main ingredient for my drink hop across the bench in front of me. The tradition has been passed from mother to daughter for centuries but this Incan heritage could almost have been lost. Now, tourism is helping revive it.